There was a distraction burglary in Kingsway Ward last week. 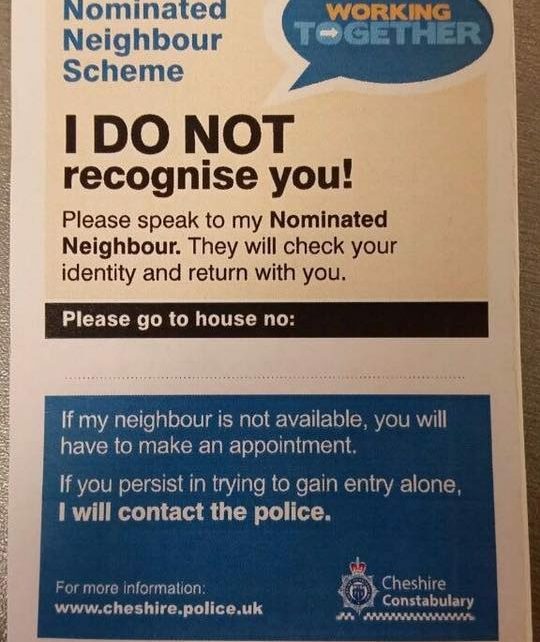 It’s a card to encourage elderly/vulnerable people to not open their door to unknown people and to phone a trusted neighbour to check the person out for them. Cards are available at Widnes Police Station or the exhibition vehicle in Widnes Town Centre.